The primary responsibilities of every person in management positions are to LEAD, MANAGE AND DEVELOP OTHERS. Very few individuals in business, including those in upper management, however, have ever been exposed to formal leadership or management training. How, then, can they be expected to most effectively lead, manage or guide others to reach maximum performance - - - and retain the best ones as employees? They can't. The cost of ineffective management to businesses is mind-boggling. 10% of ineffective or wasted time by one $50,000 employee results in a direct cost of $5,000 to a business. You do the math for your business. and - - - you have highly qualified employees in virtually every position, all ready for increased responsibilities and advancement. Would you spend as little as $300.00 on an employee to gain these benefits? Myth 1: Training is expensive. Most companies see training as an expense rather than an investment. The cost of non-training is the opposite of the advantages listed above, plus can result in lost sales, lost customers and unnecessary constant supervision. Myth 2: We cannot afford to take our employees out of their jobs for even one day. The cost of taking one $50,000 employee out for one day of training costs a company only $192 - - - the same cost as a sick day, a vacation day or a wasted day. Myth 3: Employees do not want to sit through training sessions. * Unless top management understands the concepts being taught to employees, they cannot properly support them, nor will they be totally effective. There is a 50% discount for full or condensed seminar presentations to top management personnel. 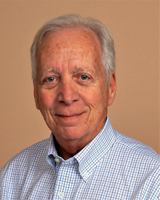 Ed Ormsby has over twenty years' experience consulting and counseling small business owners in leadership, management and marketing. He has held virtually every sales, marketing and executive management position with Fortune 500, mid-sized and small businesses throughout the US. He has been a successful small business developer and owner for over twenty years. He began developing his own leadership and management skills early in his career after attending a mandated management and coaching seminar. 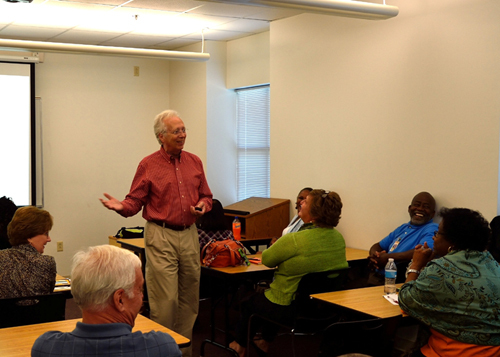 Through his highly interactive seminars, Ed gives organizations, both for-profit and nonprofit, the tools to guide employees to their highest levels of performance. 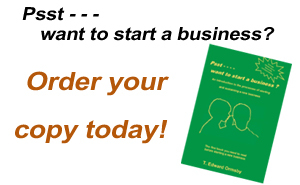 Author, Psst - - - - want to start a business?